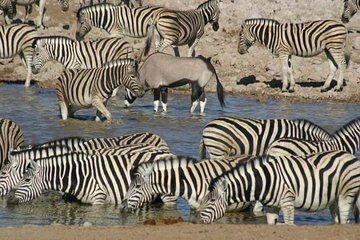 Take a 3-day, 2-night safari to Etosha National Park in northeast Namibia. The tour includes half-day and full day game drives, in addition to the opportunity to spot wildlife right from the base camp thanks to the many waterholes on and around the property. Look for elephants, hippos, giraffe, lions, and other big game.